Government vs. Philanthropy: Who’s Winning? Modern government is under great financial strain. It has become increasingly common for foundations and other philanthropic organizations to fill in financial gaps created by a lack of government services. Look no further than the Flint water crisis. After an audit project revealed a $25 million dollar deficit for the city of Flint, the state took over. In a desperate attempt to save money, the city switched water pipelines to deliver water from Lake Huron. We now know how disastrous that decision was. A group of foundations, led by the Charles Stewart Mott Foundation, pledged over $125 million in aid over five years starting in 2016 to help cover the large bill after delayed government action. The government’s response to the water crisis was agonizingly slow. It took years for any significant money to be pledged. Philanthropic organizations did not wait. They answer to few, opposed to government’s often ingrained bureaucracy and political bifurcation. The ability of philanthropic organizations and individuals to pivot into new areas and funnel funds almost immediately is unparalleled. It is no wonder that wealthy Americans are turning to charitable organizations as a means to put their money to work. In an op-ed for the New York Times, David Callahan explains that non-defense discretionary spending totaled $518 billion, while charitable giving was $390 billion in 2016. One of the glaring downsides of philanthropic activities is the lack of accountability. 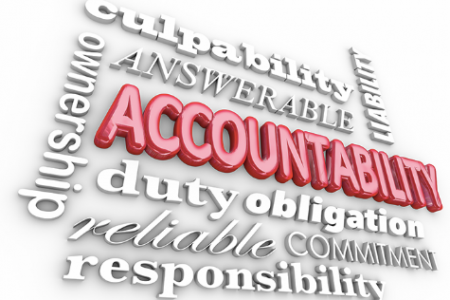 Accountability is a virtue of public administration. Foundations and philanthropists answer to few people, if anyone. There are scarce, and sometimes no options for citizens to dispute philanthropic projects, such as the funding of charter schools or a new park. An example is the much maligned police aerial surveillance program started in Baltimore which was funded by Texas billionaires. Government brings accountability back into the equation; there are avenues of recourse for citizens. Foundations and philanthropies should partner with the government so that projects can remain accountable to local constituents. Why are the ultra-wealthy becoming more interested in social change? Anand Giridharadas is a bestselling author and former Mckinsey consultant trying to answer that question. He claims that philanthropy is being used more and more as a public relations move than it is to actually change systems. His example is the Sackler family, who created OxyContin and heavily marketed the addictive substance. The Sackler family has used philanthropy to create a positive image, all the while paying $635 million in fines for their role in the opioid crisis. Their company, Purdue Pharma, is creating a new drug to help fight opioid addiction, essentially playing both sides of the opioid epidemic. Another perk of donation? Tax breaks. The wealthy can influence public projects and policy while simultaneously lowering effective taxes. Tax breaks create a win-win scenario that offers a very strong incentive for the ultra-wealthy to become involved in public projects. The current trend of Americans being skeptical over government while also demanding more services is a serious public administration challenge. In a study by Pew, they found that 55 percent felt that ordinary Americans could do a better job solving problems. That is disconcerting for two reasons. First, this suggests the perception that government is not solving problems. What good is government if it is not solving basic issues? Second is the idea that those in government are not ordinary Americans. Those in government are often members of the community they serve. Governments need to reconnect with their communities and rebuild trust and transparency. Promote transparency. Invest in infrastructure. Adapt to citizen demands. Use communication. These are just a few ways government can address public trust issues. Government is not the answer to all problems, but in the case of increased philanthropy to meet government shortfalls, more government is the answer. Fewer budget cuts, higher efficiency and honest debates over taxes are needed to cover gaps in government services and increase government funding for services. Government should be looking to save money, but never at the expense of safety. The domino effect of the Flint water crisis illustrates that point. Vigorous allocation debates are needed to funnel money to projects that are important to communities and its stakeholders. Many believe that government operates in a vacuum, but there are ways that citizens can make themselves heard. Public hearings, council meetings, direct correspondence and voting to name a few. Whatever is lost when government fails to deliver, whether it’s a loss of trust, opportunity or cooperation, it is often found again by willing philanthropists and foundations. Not all of whom have our best interests in mind. Author: Tyler Sova received his Bachelors in Finance from Duquesne University and his MPA from West Chester University. He is a Financial Management Analyst for the Federal Government and involved with the Pennsylvania Chapter of ASPA. He can be reached at [email protected].